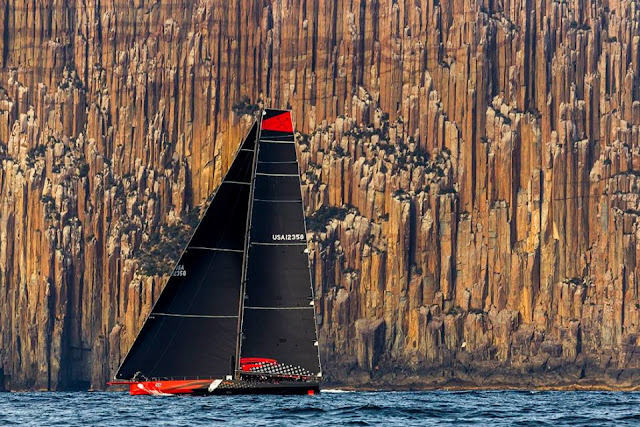 Take a look at the 100ft carbon sloop Comanche built for Jim and Kristy Clark. From the first layers of carbon being layed in to the hull at Hodgdon's yard in Maine to her first offshore passage from Newport to Charleston, SC. Ken Read tells the Comanche story just days before the boat takes on the Sydney to Hobart race! The Comanche story with Ken Read from Onne van der Wal on Vimeo.